Students are invited to bring in $1 to wear their "shades" all day on April 29th. Their dollar will go to support the SES Garden and Outdoor Learning Space. They can also dress in bright colors to celebrate spring. Students may also bring a live flower to plant in the garden (no earlier than April 26th). 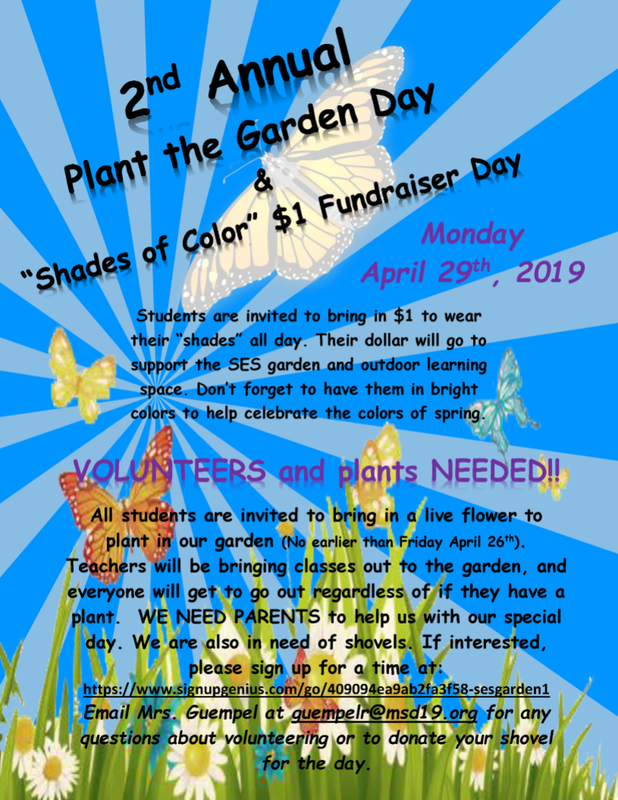 See the following for more information on Plant the Garden Day at SES on April 29th. Go to SignUpGenius to sign up to help in the SES Garden on April 29th.